It's not quite like the old days where you might give someone a toy or an electronic device for Christmas and forget to include batteries. Yet as people unwrap their Macs or their iPhones, you can make their day better by giving them a subscription they can use with it. That'll make the rest of the holidays more fun, too, and when they go back to work, the same subscriptions can improve their jobs. Subscription services can show you a movie or teach you how to cook. They can bring you any piece of music you can think of or they can show you how to play guitar. With subscription services that help your productivity, you can mostly be sure that anything you get someone will be useful to them. With entertainment and education, though, it takes a bit more thought -- and a bit more knowledge about the person you're buying for. Or alternatively, you could just get them a Netflix subscription and be done with it. 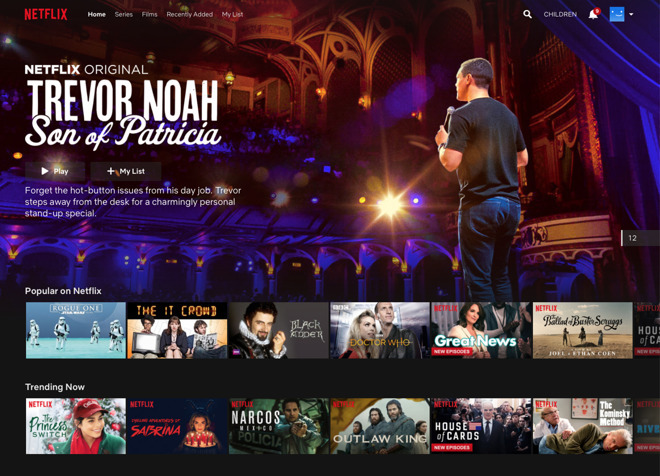 There are countless television and movie subscription services but surely Netflix is the most broad-ranging and the least tied to a particular broadcaster. That doesn't mean buying a Netflix subscription is completely straightforward, though. As well as dropping hints to find out if the person you want to buy it for has already got a subscription, you need to think about how much money you want to pay. Netflix claims that its prices start from $7.99 per month but nobody will thank you for buying that. The least you need to spend is $9.99 per month because that's the first tier that gives HD picture quality. There are then options for how many screens people can watch the service on at the same time. If they're the sort to watch two screens simultaneously, don't even get them a Christmas card. However, if they're in a family then this gives the ability for one person to watch on the den's TV set while another is on an iPad in the kitchen and a third is upstairs on their iPhone. There's nothing like the right present to bring families closer together. Do also consider YouTube Premium. If your gift recipient is weary of skipping ads then this is for them. For $15.99 per month, you'd be giving them ad-free YouTube plus exclusive originals -- and music. For less than you'd pay YouTube, you could instead get someone an Apple Music or Spotify account for $9.99. That is as close as possible to giving them all the music in the world and it is staggering that we can do that now. For $14.99 you can get a family account on these music services and that lets a number of people in your household to have their own streaming music wherever they go. There's also a family plan for YouTube Premium at $22.99 per month. One of the benefits of Apple Music is that it includes iTunes Match. 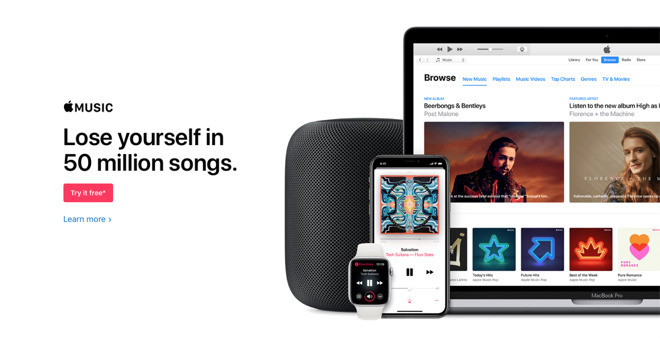 This is Apple's service that copies your music up to the cloud in order to make it available wherever you go. 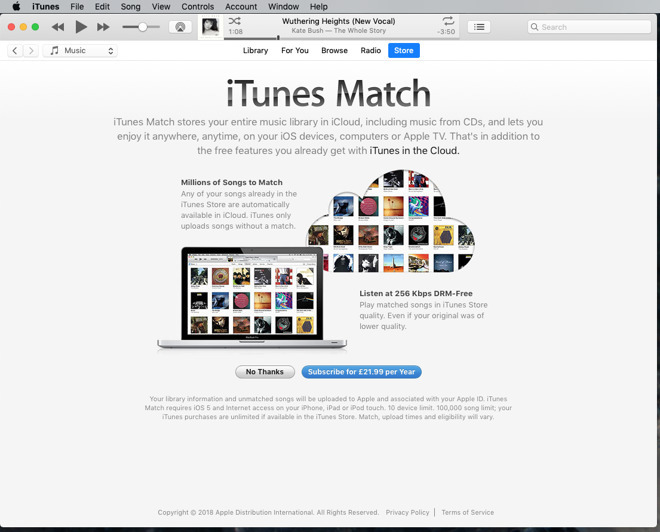 If that's all you want then iTunes Match is a bargain: it costs $24.99 per year. Not per month: per year. Yet when you try to buy iTunes Match, even Apple comes close to asking whether you're mad. It also hides how you sign up: you have to go via iTunes, you can't buy online. That price is undeniably good but try explaining iTunes Match to whoever you're giving it to as a gift. And then asking to use their Mac to set it up. Just get them Apple Music instead. Apple Music and Spotify aren't the only such services available but they are the most compelling -- except perhaps for one. On paper, Amazon Music is a bust. It's music selection is vastly more limited than either Spotify or Apple Music. So much so that there would be absolutely nothing to recommend Amazon Music over them but for how it's part of Amazon Prime. This is the Amazon feature that originally got you free shipping on anything you ordered from the company. It's since expanded into having this music service plus a television one that has created some of the most talked-about dramas of recent years. 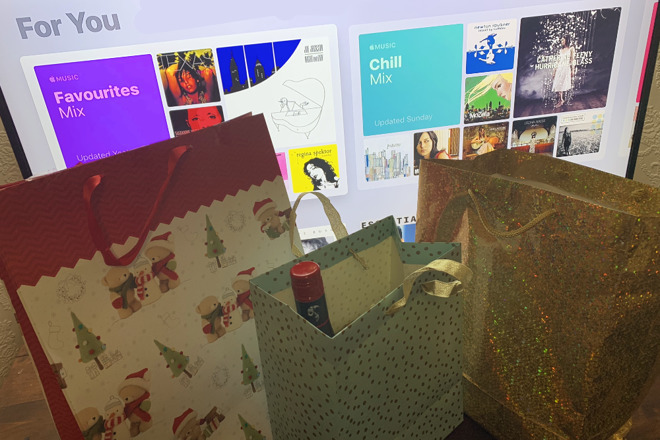 If the person you're buying for is only mildly into music, you'd be getting them more than have now plus a lot of TV viewing and shopping options. Amazon Prime, Apple Music, Netflix and the rest are all about quite passively consuming entertainment. You can offer someone a much more clearly useful subscription service by choosing from the many education ones available. There are some exceptional educational resources online that require a subscription. For the right person, these can make a first-class present because they tend to be priced really well. They're low enough that you're tempted to buy them for yourself but just high enough that you can't do so casually. 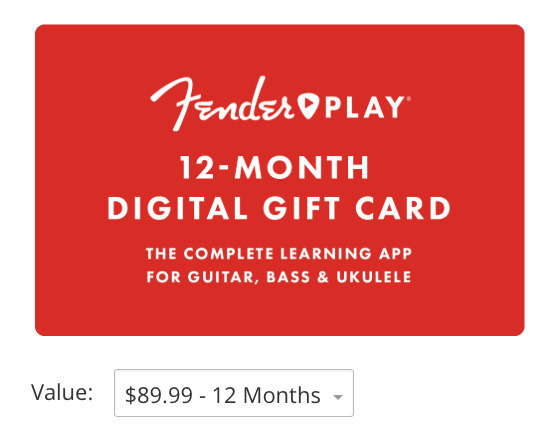 So if you know, for instance, that someone wants to learn the guitar, you can buy them a year's access to Fender Play for $89.99. Fender Play is about as specific a gift as you can make. A somewhat broader option is ScreenCastsOnline. This is a collection of, at time of writing, 939 instructional videos on every possible app or use you can think of for Macs or iOS. The earliest of the 939 are necessarily out of date as they cover old versions of software but there are also new videos released every week. They're in the same format of a voiceover talking you through as you watch software being used and they are very well done. You can buy yourself or someone a year's full access to all the videos for $72. Or there's a monthly option where you pay $8. You're not likely to watch every new video every week, but regardless of the work you do on your Mac, there is going to be an excellent tutorial on it. If even that is too specific a gift, you could go for a service such as Masterclass. This comes somewhere between ScreenCastsOnline and Fender Play for number of courses but they are all led by the very highest-profile people in their fields. The good part is that even with a quite limited range of subjects, you generally get a choice of these leaders. There are differences between how these work, how you connect with them and what you think of their abilities. So in writing, for instance, you might elect to learn from Aaron Sorkin or Margaret Attwood. Since the service wants you to pay a flat fee that gets you everyone, you wouldn't lose out financially by then also watching Dan Brown. The annual fee for access to all the instruction and instructors is $180 per year. However, at time of writing there is a short-term Black Friday deal that keeps the price the same but gives you a second subscription. So you can buy it for yourself and get a free year's subscription for a friend. It's just about possible that you know someone who would object to spending hours in front of a screen learning anything but will stick to their couch for every second of the play-offs. Buy them a year's subscription to ESPN+ and they'll have their pick of MLB, MLS, NHL and practically all sports that have three letters in their name. 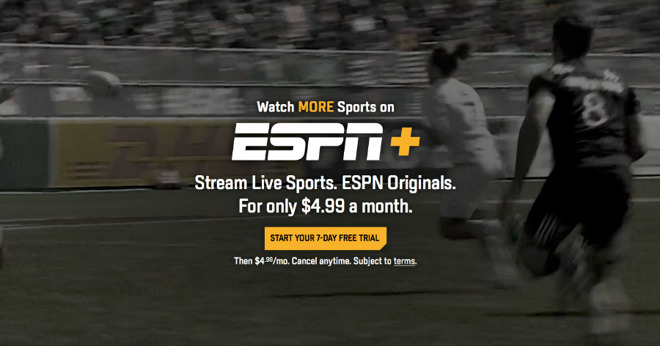 ESPN+ doesn't offer a gift subscription per se but you can sign up for a free trial and then pay for someone else. It'll cost you $4.99 a month so that's just under sixty bucks for the year. So far all of these gift recommendations have been about watching or listening to entertainment and education and sport. There is also reading. Get someone a subscription to Texture. This is like the olden days when you might buy them a subscription to a print magazine that would arrive in the post every month. Except with Texture, your $9.99 per month subscription gift gets them their choice of over 200 different magazines. They get all the most famous magazines in the world from Vanity Fair to National Geographic and GQ. Marie Claire is in the list, as is The Hollywood Reporter, Bloomberg Businessweek and Wired. The holidays can be a time to relax with a good book but the rest of the year is for grabbing the odd few minutes with a magazine. That's what you're giving someone when you buy them Texture. Whenever you buy someone a subscription, you're at the very least giving them the gift of letting them play. They can try to learn guitar without feeling every time they break a string that they're wasting their money. They can relax with Netflix and watch anything they fancy instead of thinking whether it's something they'll enjoy enough to buy on iTunes. You're giving people pleasure and our sole regret is that we can't figure out a way to wrap up these subscriptions.